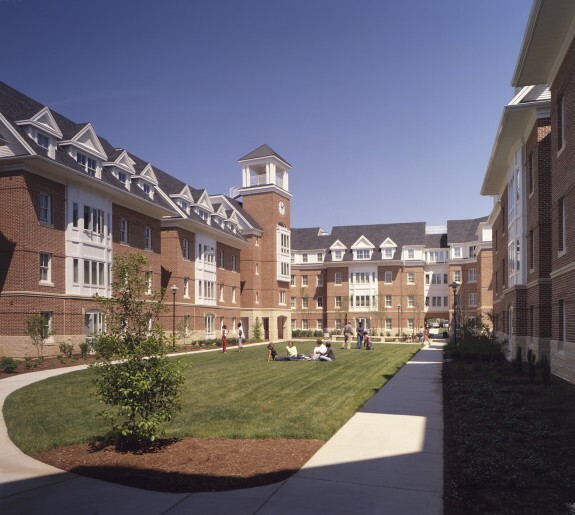 Located on the Montclair State University campus in New Jersey, this new housing project is home to nearly 2,000 students. 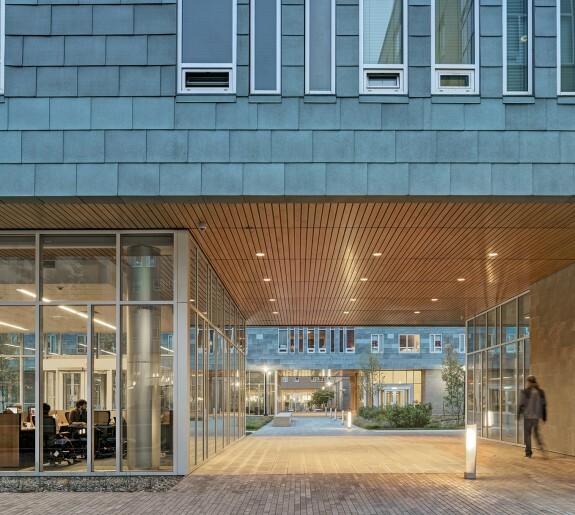 Students reside in a mix of single and double units on two separate sites; one reclaiming the space of a former parking lot, and the other making use of a very steep, “unbuildable” slope. 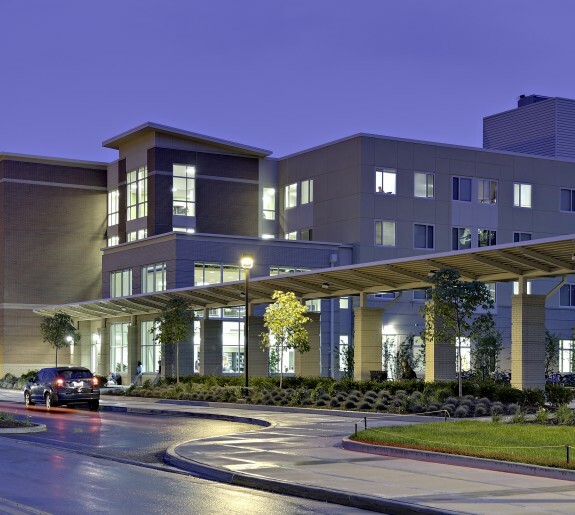 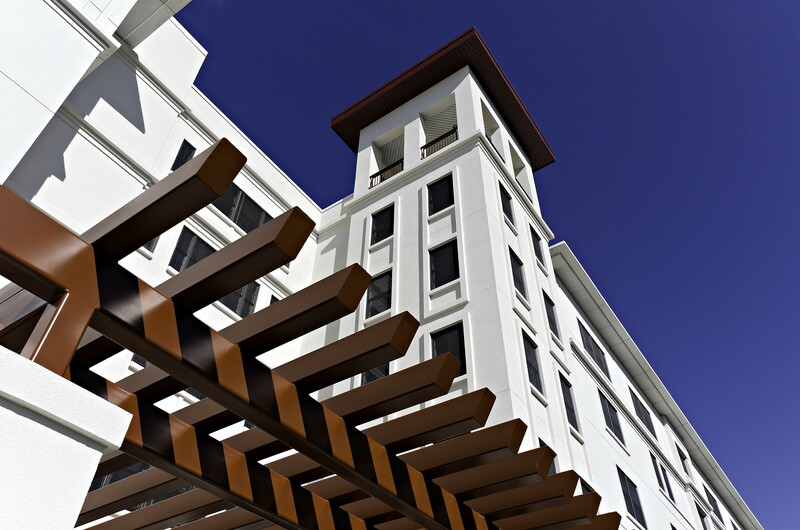 The project was conceived as two separate buildings, each with multiple wings of varying heights and orientations. 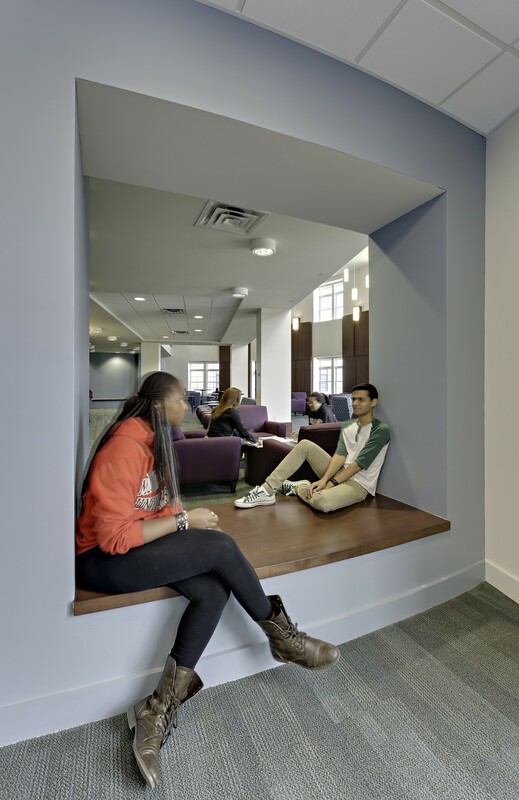 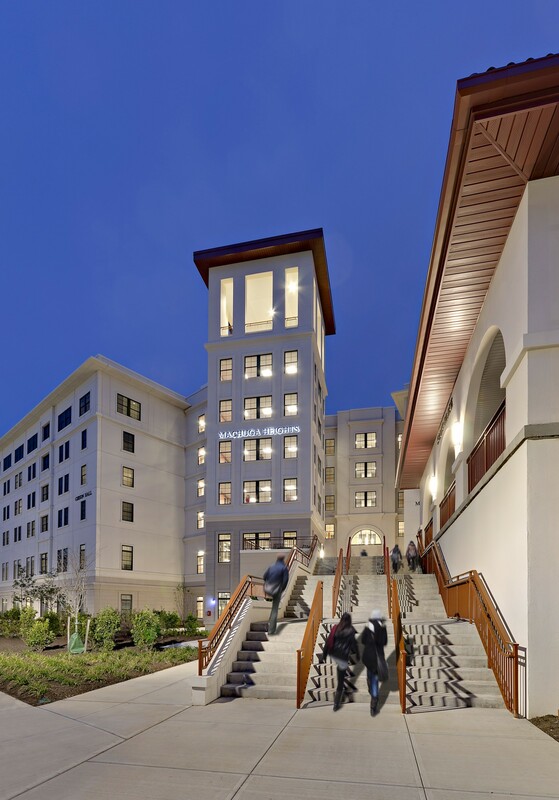 The building wings each house approximately 40-50 students in discreet communities, and are connected with glass links that serve as small lounge and study spaces. 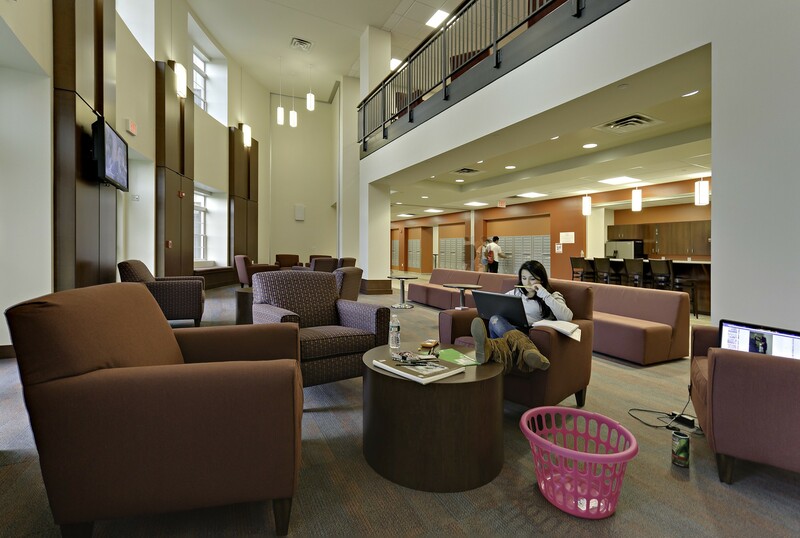 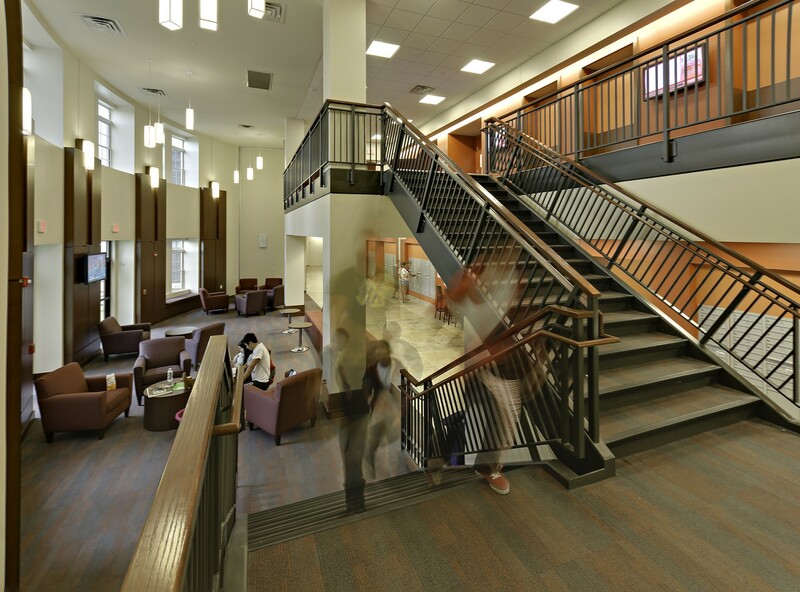 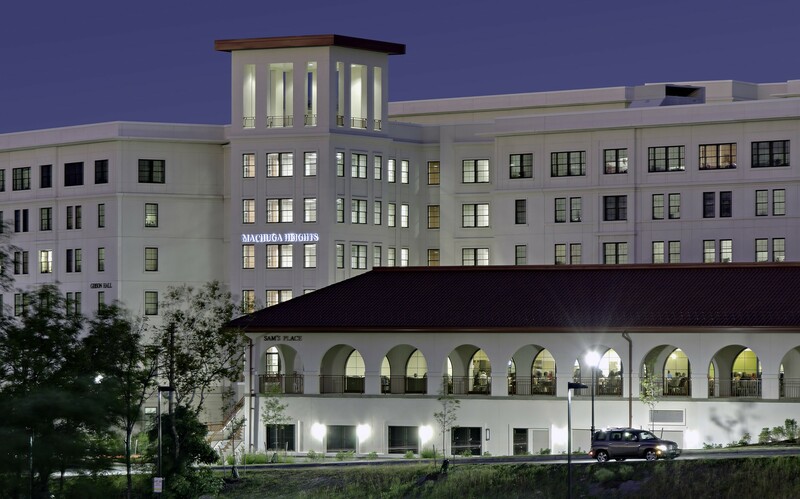 Public amenity space occupies the “hub” at the lower level of each building, where students can take advantage of larger lounge and study spaces, a game area, laundry facilities, a common kitchen, and multi-purpose rooms for seminars and group study. 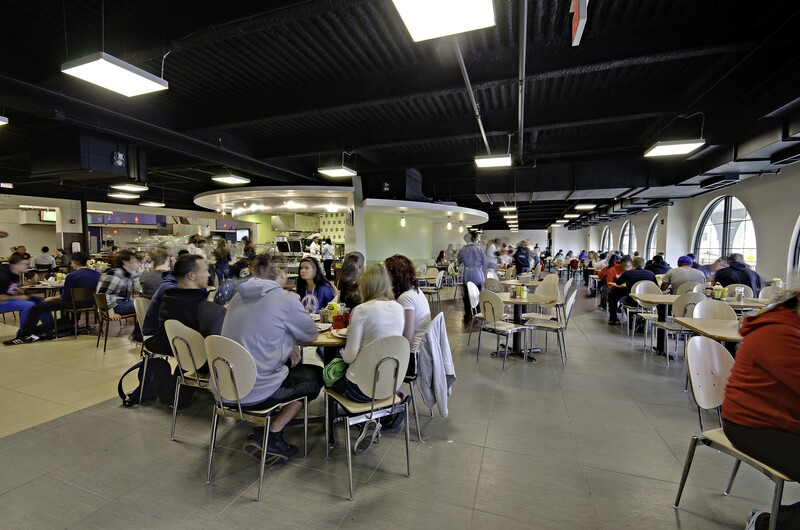 Additionally, the north site features a full-service dining facility incorporated into the building.